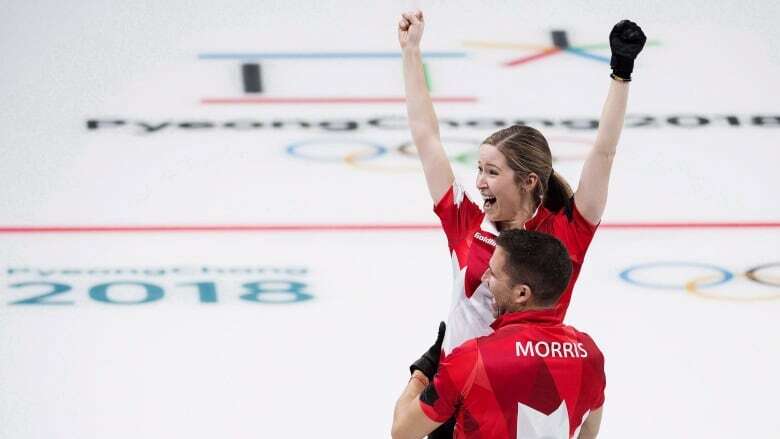 In a curling-crazed country like Canada, Kaitlyn Lawes – the nation's first ever back-to-back Olympic curling champion – has become a world-leading athlete in the sport. The two-time Olympic gold medallist won in Sochi 2014 with Team Jennifer Jones, and took home gold again in the mixed doubles Olympic debut at the 2018 Games in Pyeongchang. If gender equity is catching on across a few Olympic sports — curling has provided a great example to follow. Lawes and her mixed-doubles partner, John Morris, watched their event quickly go from novelty — causing consternation among traditionalists – to outright international smash success. Proving that no two wins are alike, Lawes's gold medal campaign with the women's four in 2014 was an exercise in gradual, methodical improvement. It was a far cry from the fits, starts and growing pains she and Morris had to work through to find their winning ways. It wasn't easy at first, but their chemistry was undeniable, as the two only lost one game and dominated the 2018 Olympics. Join Lawes and host, Anastasia Bucsis, as they have an intimate chat about everything from the Olympics, the Patch, how she started curling and some of the all-time greats in the sport including Jones, Morris, Jill Officer, and Ben Hebert.